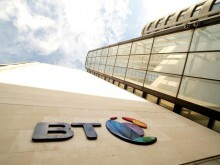 BT today announced the launch of BT Agile Connect, a new software-defined wide area network (SD-WAN) service created for large organisations. Customers using this new service will benefit from far greater control and understanding of their infrastructure and traffic flows, a much faster, simpler and more secure way of setting up new sites, reduced network complexity and lower costs. Agile Connect is built on technologies from BT and Nuage Networks from Nokia, while benefiting from the security and resiliency of BT’s global network infrastructure. Agile Connect equipment is currently live within the networks of several large global organisations and is now ready for volume deployment for existing and new customers. Agile Connect uses software-defined networking (SDN) on a national or global scale to dynamically determine the most effective route for traffic to take across a customer’s wide area network. Its dynamic routing allows organisations to meet bandwidth demand by making it significantly easier to introduce new access services to their network or by making better use of what previously were back-up connections.It also ensures that traffic from high-priority business applications always takes the best performing route. Customers prioritise applications or manage use of access services via an interactive portal. They also gain an improved visibility of application performance. Changes are implemented centrally without the need for expensive local technical support. Agile Connect includes a BT pre-built controller infrastructure hosted on the internet and on BT's multi-protocol label switching (MPLS) network. It also uses BT pre-built MPLS Internet gateways to offer simple cloud-based connectivity between Internet-connected and MPLS-connected sites. 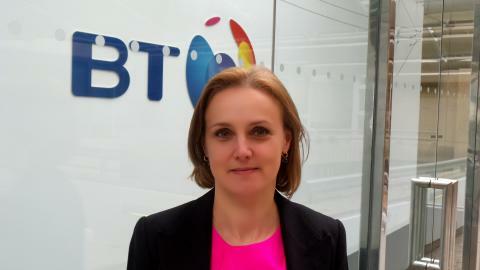 And it benefits from BT’s investments in the security of both the controller and gateway infrastructure. Together, these features save customers from having to undertake time-consuming and costly design, delivery and on-going maintenance of controllers, interconnection gateways, security and monitoring systems critical to the performance of a SD-WAN. For customers looking to extend their digital transformation programmes organisation-wide or grow their global reach, Agile Connect provides the ideal branch solution, with fast, secure deployment and the ability to meet the ever increasing bandwidth demands of complex applications. Through a simple touch-control interface on the self-service portal, customers can now set up new sites in minutes rather than months without costly, on-location, technical support. The service can also be used to aggregate network connections, bringing together services from different providers and different network types. This feature is particularly valuable for companies integrating networks following a merger or acquisition. Agile Connect is part of BT’s Dynamic Network Services programme, which brings together BT’s global network infrastructure with the latest network technologies, including SDN and network functions virtualisation (NFV) to underpin large organisations’ digital transformation. Agile Connect is delivered as a single box located on the edge of their network, with further services added as additional devices.In the future, Agile Connect will support virtual network functions (VNFs), with new services deployed virtually to the Agile Connect device, removing the need to install multiple boxes. For more information on BT’s Dynamic Network Services, visit www.bt.com/dyns.